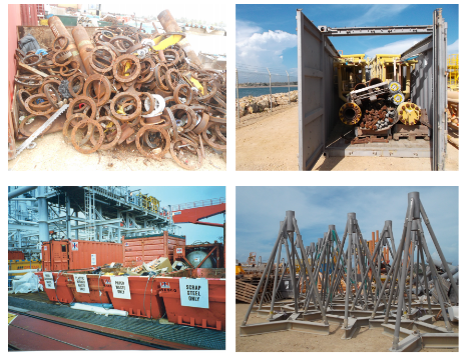 Waste management and collection is a complex and costly task for the offshore industry. Companies currently pay waste collectors to collect and take care of all their undesired output materials. There are a multitude of output materials that are simply considered ‘waste’, such as plastic, rope, industrial lamps or packaging material. These end-of-life materials arrive in such quantities that it is simply not worth the effort to look for upscaling these waste streams. We as CIMA3 see all the possibilities that these materials offer. First of all, some waste streams can be recycled or upcycled. Second, some end-of-life products can be refurbished and sold as an authentic new product. Such as the industrial lamps, which can provide an authentic feeling of having an ‘’off-shore’’ product in your room. One single ship, platform or shipyard might not have the quantity to create true impact. But together, they will.